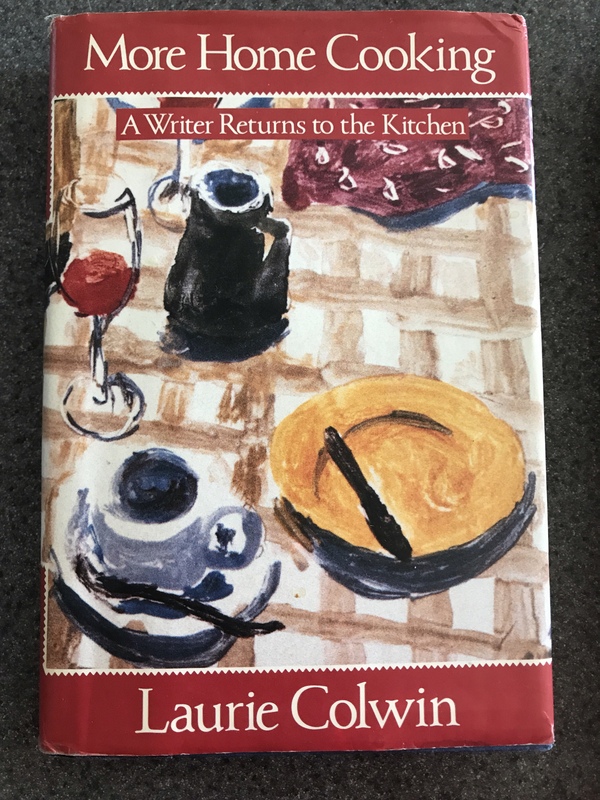 Today’s recipe comes from Laurie Colwin’s Home Cooking: A Writer Returns to the Kitchen. I love Laurie Colwin. Her writing is beautiful, emotional, and shows good humor. She wrote fiction throughout the 70s and 80s, and died at the age of 54 in 1992. I’ve read some of her fiction, but my favorites are her two cooking books: part memoirs, part recipes. They will probably be featured heavily in this blog! 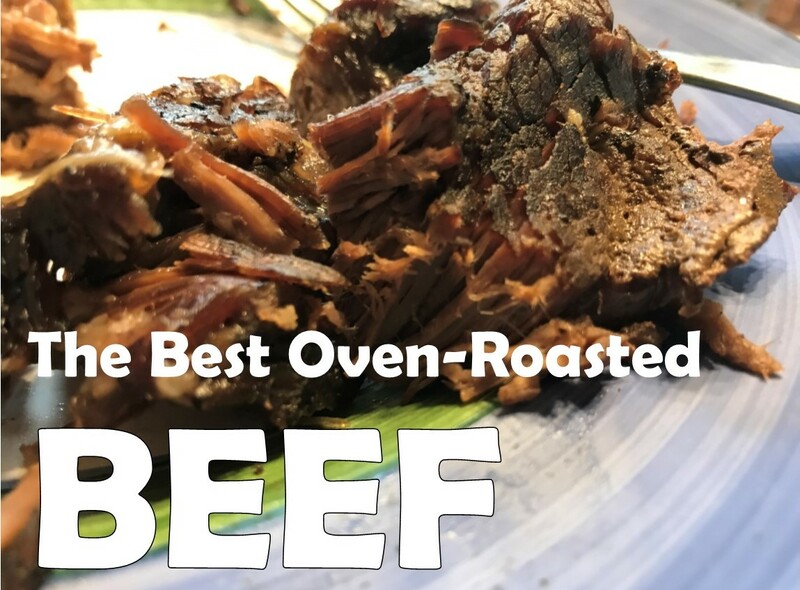 Laurie’s recipe for Oven-Roasted Beef comes at the tail end of a chapter titled Boiled Beef, one that I bypassed for a long time because boiled beef sounds like the epitome of unappetizing. I was a keen reader of Asterix comics as a kid (Oh who am I kidding? I still like them!) and Asterix in Britain contained a pretty scathing review of British cuisine, boiled beef included. It was hard to overcome this early dose of prejudicial messaging. But I finally read the chapter, and it closes with a quick-and-simple version of the much-more-complicated recipe for boiled beef (which seems to be more of a pot roast that anything else). So one day when I was going to be home all afternoon and I had a guest coming over who I knew could handle me experimenting on her, I gave it a try. Reason enough to take a stab at it, eh? Season the meat liberally with salt and pepper all over. Place in a roasting pan or 13×9 pan and cover tightly with tin foil. Put it in a 275-degree oven and let it roast for six hours. When done, allow to rest for 10-15 minutes before slicing. This beef is flavorful and fork-tender. It’s amazing. The best roast beef recipe I’ve ever made! So little effort, and you get a company-worthy meal! You can make gravy with the pan drippings if you want. I have played with the length of time in the oven – say, an hour at 300 and three hours at 275 – and it’s come out great every time. I think a temperature that low is fairly forgiving, especially if your cut of meat is on the smaller side. Yes, and I have! I often coordinate the beef with a loaf of fresh bread or scones, popping them into the oven during the beef’s rest time. I serve the beef with a variety of BBQ sauces (and ketchup, because I have toddlers), bread or potatoes, and a salad. Perfect for Sunday dinner!